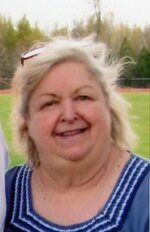 MADRID – Mrs. Judith Ann Simmons, 72, of 3690 County Route 14, Madrid, unexpectedly passed away Saturday, May 5, 2018 at her home. Judy was born January 19, 1946 in Potsdam, the daughter of the late Floyd and Kathryn (Hollinger) Lunderman. 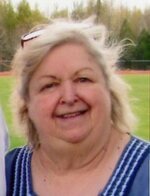 She first attended Parishville-Hopkinton Schools before graduating from Madrid-Waddington High School in 1964. On August 10, 1968, she married Glenn Elmer Simmons. They were blessed with two children before their marriage ended in divorce. After high school graduation, Judy worked for a time at the St. Lawrence County Department of Social Services for a short time. She later went to work as a caregiver with NYSARC, caring for residents at the Potsdam Pine Street ICF for nearly 13 years. She greatly enjoyed her cats, her phone call visits with her son and grandchildren; and visiting with her friends. She also cherished the help she received from her “neighborhood kids” over the past several years. Judy is survived by her son and his wife, Craig and Mandy Simmons of Winthrop; a granddaughter, Lauren Sharpe of Lisbon; two grandsons, Levi and Connor Simmons of Winthrop; her great grandson, Jedidiah Montroy; her brother, John Lunderman; her brother-in-law, Rupert “Red” Sheldon of Lancaster, Pennsylvania; and many nieces, nephews, and cousins. In addition to her parents, Judy was tragically predeceased by a daughter, Cathy L. Sharpe and her son, Garrett Scott on December 4, 1999; and two sisters, Lois Lunderman in infancy and Nancy Sheldon on June 13, 2013. Friends may call Thursday from 4:00 – 7:00 PM at the Donaldson-Seymour Funeral Home, Potsdam. A graveside service will be held Friday 11:00 AM at the Madrid Cemetery with Rev. Douglas Lucia, officiating. Memorial contributions may be made to the Potsdam Humane Society or the American Cancer Society. To send flowers to the family of Judith Ann Simmons (Lunderman), please visit our Heartfelt Sympathies Store.